A few days ago, I got back from the most amazing week in Italy. Even though I was working at an exhibition in Bologna for four of my seven days in the country, I still managed to spend time in three different Italian cities. For the first part of my trip, I stayed in Bologna, and then I travelled to Florence and Venice for a day in each place. I was amazed by how much exploration I was able to fit into such a short space of time! Each of the cities I visited shared their similarities, but also had their own incredible, individual characters. The unique beauty of each place is beyond comparison, so I decided to split this post into three sections, one for each city. I explored so many amazing parts of these places, taking lots of photographs on the way, so I really wanted to share with you the beauty of what I found during my stay in Italy. It was such an enchanting country, and I can’t wait to visit there again. I enjoyed every moment of my time there, and completely fell in love with it all. I hope you enjoy the photos! On the evening I arrived in Italy, I discovered the Pizzaria Tonino, an incredible restaurant which was only a few minutes walk from where I was staying in Bologna. It makes the most amazing food – in fact, I think it’s the best food I’ve ever eaten. I ordered their pizza marinara (which they made into a heart shape!!!!!) and their rosemary roast potatoes. You could really taste all of the love and passion that they put into their cooking. It was just so incredible, and I actually went back there a few days later with some friends and ordered the same meal! I couldn’t resist their food. Due to the fact I was working for most of the days I was in Bologna, I didn’t have too much time to take many photos of there. However, I made sure to capture as much as I possibly could (relying on my iPhones camera). During the daytime, I visited the centre of the city and explored the shops and restaurants. 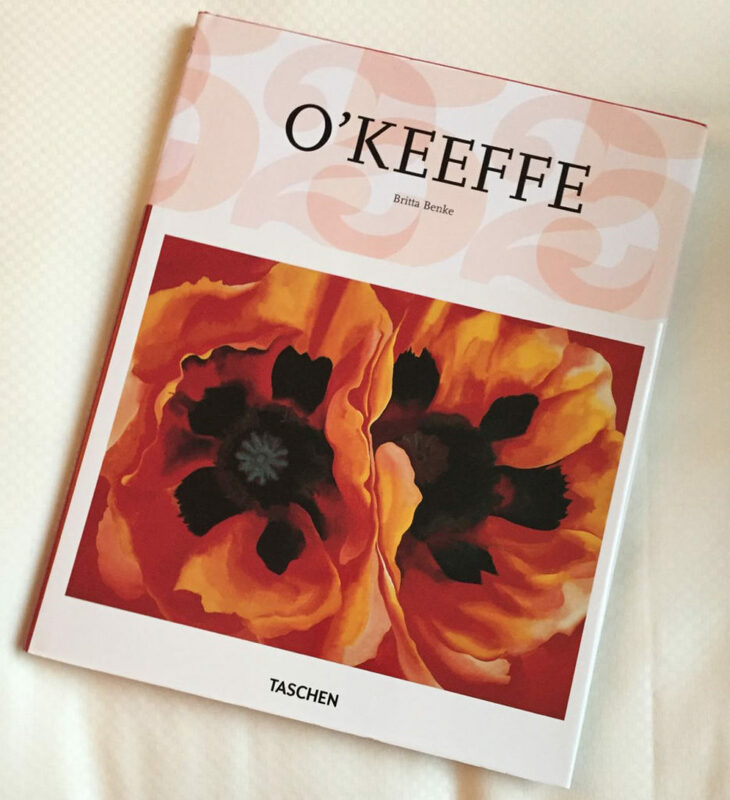 I actually ended up buying a beautiful Georgia O’Keeffe book printed in Italian from one of the book shops.. which gave me the perfect excuse to improve on my Italian! I also discovered a new favourite Frida Kahlo painting in a book they had about her.. Isn’t it stunning? And of course, I enjoyed some more of the delicious food that Bologna had to offer. I ate so much pizza while I was there! This was a marinara pizza with mushrooms and artichoke. There were so many vegan and vegetarian options in the city, it was amazing! My hotel also had a vegan section full of different pastries at breakfast. Bologna was wonderful, and I would definitely love to visit there again soon. After my time in Bologna, I decided to explore Florence. It was only a short 30 minute train ride away from Bologna, so it made the perfect destination for a day trip! I couldn’t believe how easy it was to reach. When I arrived, I decided to simply walk around and see where I ended up. To no surprise, the first place I actually found myself in was a Tommy Hilfiger store, where I bought myself a new coat (I was wearing a summery dress at the time, and it started to rain when I arrived in Florence, and I was freezing, so I just had to buy it..). You can see the coat later in the post. Then, I continued on my adventure until I arrived at the mesmerising Cattedrale di Santa Maria del Fiore, where I decided to take a tour of the church. The tour only cost €10, and it was so fun! I learnt so much about the church, and it was an incredible place to see. I would definitely recommend doing it if you’re ever in Florence. When the tour had finished, I took a final look inside of the peaceful building and decided to get some lunch. I got out the map on my phone, looked up vegan restaurants, picked one and walked towards it. Admittedly, I got myself lost on the way so stopped somewhere else for lunch.. However I did find it in the end! And, it was in perfect timing for dessert. The restaurant was called Universo Vegano – and I ordered their Vegan Kiss and Cheesecake. Both were so delicious! It was a really lovely place, and they had so many beautiful dishes. After I finished my cake, I decided to continue exploring. I didn’t plan where I was going to go, I just walked and kept turning down different streets whenever I felt like it. It was perfect. I ended up in so many different places all over the city, discovering tiny streets and quiet areas away from the crowds in the centre. All of it was breathtakingly beautiful. I would go back there in a heartbeat. I could so easily see myself living there – I just need to learn some more Italian first! My last adventure on this trip was to Venice. The train journey took about 2 hours each way from Bologna, but it went very quickly and still gave me a good amount of time in the city for the day. When I arrived there, I decided to use the same approach that I used in Florence – just walk around and see where you end up. When I left the train station, I turned right and walked down to a quieter area. 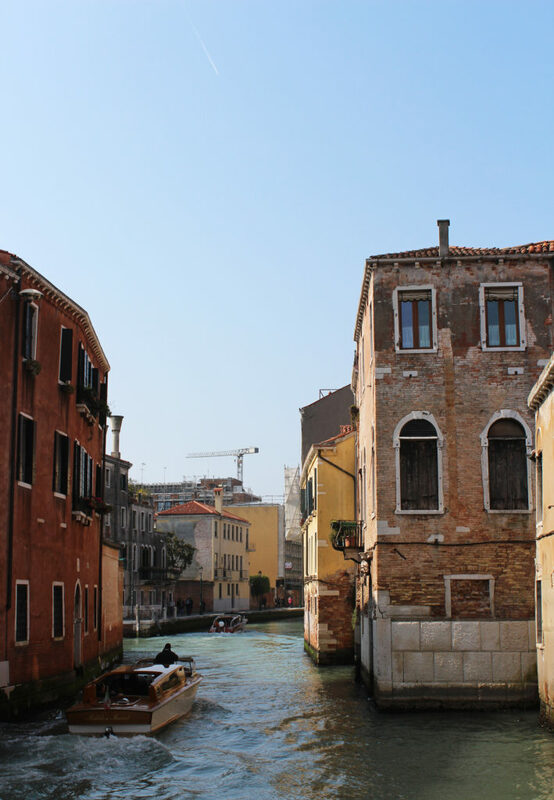 Then, I walked over lots of tiny bridges through the smaller streets, admiring all of the stunning architecture as I made my way into the heart of venice. It felt so calm and peaceful, and the weather was absolutely perfect. Oh and here’s the new coat I bought in Florence! I was truly overwhelmed by all of the beauty in Venice, and could definitely see myself living there too (however, I would need buy a boat and to learn how to use it). The food, of course, was also amazing in Venice and the amount of gelato was incredible – yum!!! I really enjoyed taking my time to just stroll around Venice without any plans, experiencing everything as it was. Everything felt so easy, and without any expectations, there was only fun! Seeing this graffiti on a wall also came as a perfect, timely message from the universe as my trip came to its end. As the evening drew in, the city became even more picturesque. The fading light of the sun created enchanting shadows and silhouettes on the streets and buildings. You couldn’t help but just stop and stare at all of its beauty. Italy is the most open hearted, beautiful, loving country I have ever visited, and I cannot wait to return back there again. There were so many things to do and see, every moment I had there was filled with joy. I loved every single part of my stay, and it was a truly exciting, magical experience. I have always wanted to go to Italy, so I am totally jealous! But thrilled you had a wonderful time!!! Your photos are amazing! All that delicious food and breathtaking scenery! Totally makes me wish I could afford to book a trip today! Thanks for sharing your travels with us, Harriet! At least I can live vicariously through you! 😉 Cheers, doll! I don’t even have words! It’s all just so beautiful and perfect!!! <3 A dream! 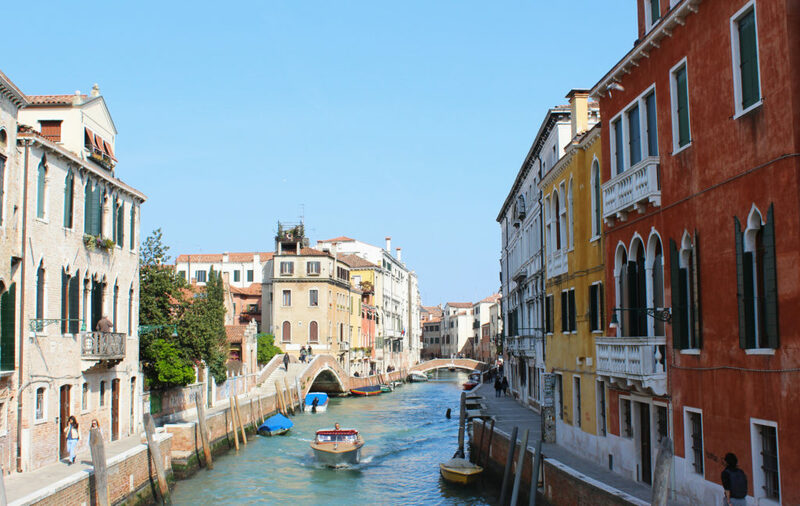 Oh Harriett – thanks so much for these pictures and post – Italy is on my bucket list and I felt like I did a mini vacay there vicariously through YOU! Your photos are gorgeous indeed – and so are you, friend! I don’t think I’d have left with all that delicious food and views! Thank you so much Shashi! Italy looks so beautiful! I adore the pictures at the end with the fading light – so magical! Those pizza bases look so perfect and delicious even without cheese on top. Also, I love your coat! Beautiful pictures Harriet! We actually might go to Italy this June so your post will definitely help then! You are gorgeous and so is the food! I have loved seeing the photos that you have been sharing on Facebook and it is making me want to go back to Italy so badly. I have always wanted to go to Venice and this post makes me want to go even more. Ah, I just love Italy! You’re right, it is such a beautiful country with each city having something special to offer. We also ate so much delicious food there and the options are endless! I can’t wait till we return there again one day! Such a wonderful experience! Love the photos and the food! Thanks for sharing! Oh, Italy!! I MUST go here one day! You captured beautiful pictures of the architecture — Venice looks just stunning and exactly as I imagine it with all of its canals. And of course you couldn’t leave the country without a bit of shopping! I love your Tommy Hilfiger coat, you look absolutely gorgeous in that picture!